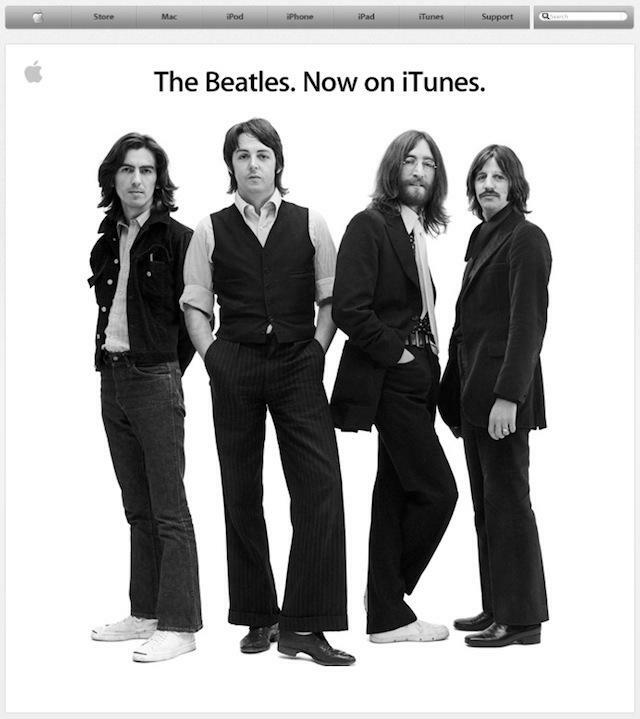 It seems like everyone except Steve Jobs was underwhelmed by the Beatles on iTunes announcement today. The reaction here, on other blogs, and on Twitter was unanimous: Who cares? Most Beatles fans have already bought the CDs and added them to iTunes. The music is 40-50 years old. Half the band is dead. Perhaps Apple overplayed it a bit, announcing that this was a day we’d never forget. Then it turned over the homepage, iTunes and Ping to The Beatles. There’s even four TV ads. Overkill? Maybe. But seen from Steve Jobs’ point of view it is gotta be a big deal. Symbolically, at least. This is the day iTunes triumphed over the old music industry. It marks the complete obsolecence of the old distribution system and the triumph of the new. The Beatles catalog was one of the last trump cards held by the old music industry. Giving it up is an admission that iTunes has prevailed. Music is fully digital, and there’s no going back. The other holdouts — AC/DC, Led Zeppelin Garth Brooks (CNet has a list here) — must surely follow. Jobs has been working on this for seven years or more. To him, it’s a massive validation. Like he says, a day that won’t be forgotten.